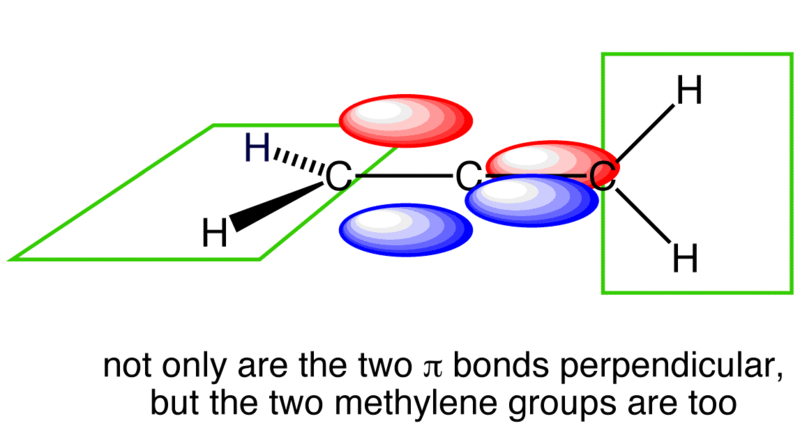 Use the buttons to display the orthogonal p orbitals that make up the two pi-bonds. Use the buttons to display the orthogonal pi orbitals individually and together. 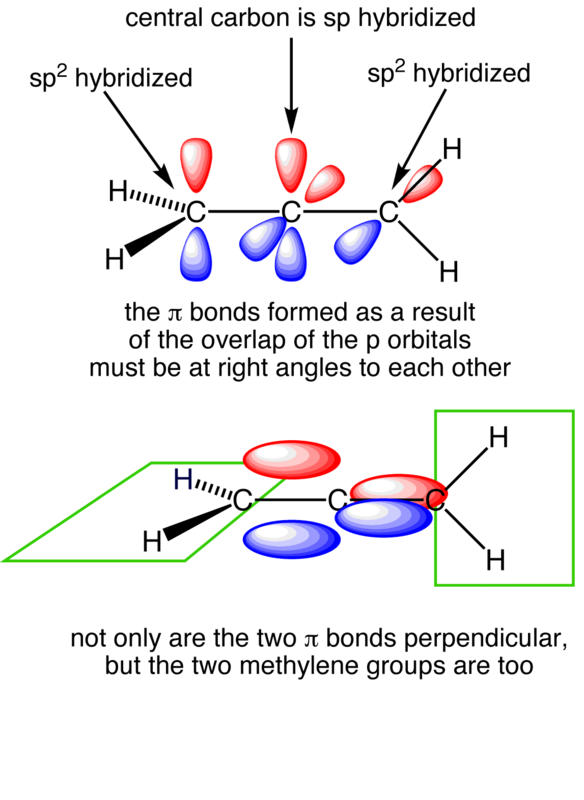 Note that the molecular orbitals are not completely localised.